The Engine and Truck Shop has seven experienced mechanics that work in the sixteen bay service garage. Here is where they diagnose and troubleshoot engine and drivability issues ranging from intermittent electrical problems to engine failure analysis. 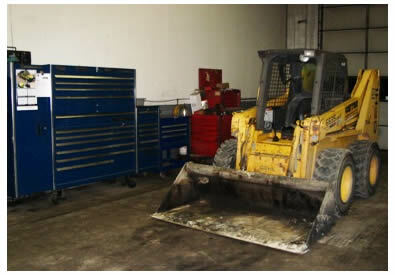 They are capable of minor repair, in-chassis overhaul, out of chassis overhaul, generator repair, and drive-out service. This department also builds the medium and heavy-duty engines in which are then dyno tested using the 1000hp Power Test dynamometer.